A frozen Horsetooth Reservoir at sunset. This tree is sitting on a hill above the reservoir. At the time i was taking the photo, there was a lot of ice movement and loud sounds. Smokey. 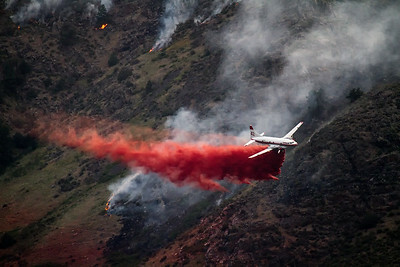 High Park Fire @ Bingham Hill. One of the hardest hit areas is Rist Canyon. Bingham Hill provides a view of the foothills of the area. This was taken Wednesday evening June 13. The smoke is evident on the blackened foothills and a new round of fire is creating smoke as the fire moves west. A beautiful sunset in a somber place. 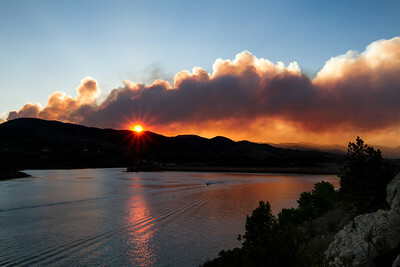 HIgh Park Fire - Bingham Hill. 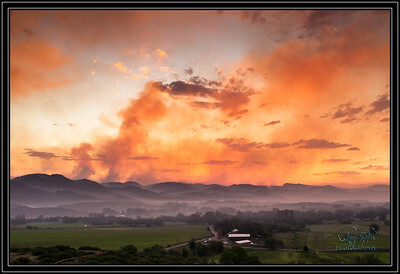 This was taken of the High Park Fire at Bingham Hill north and west of Fort Collins CO. I used my iPhone camera for this photo. The hills you can make out in the distance were completely burned the following morning. 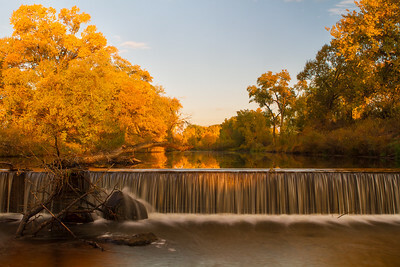 The Poudre River runs through my hometown. 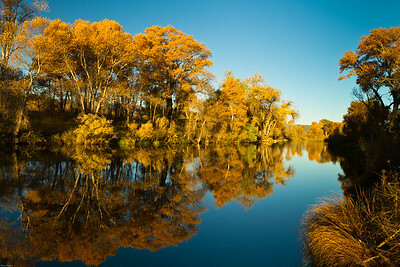 This was taken at a spot where the river creates a small pool which allows for reflecting photos. 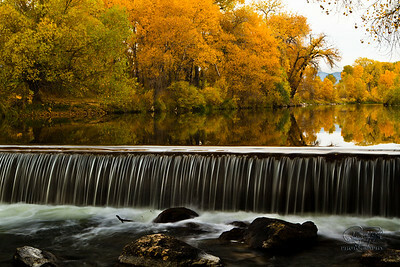 The Fall colors were beautiful again this year. 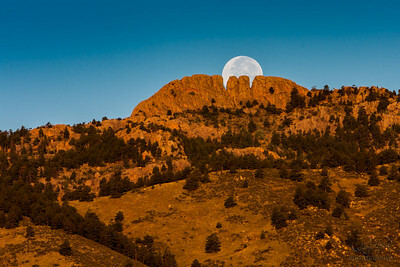 The full moon setting behind Horsetooth Rock in Fort Collins, CO. This rock is the definable spot overlooking the town. A full moon setting behind Horsetooth Rock in the foothills of the Rocky Mountains. This was a little bit after the sunrise so the full moon was a little pale. 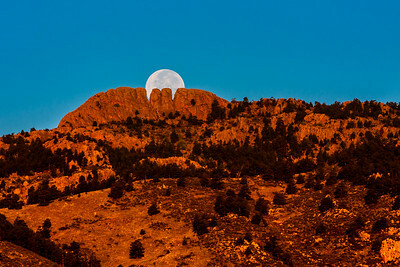 A full moon was setting behind Horsetooth Rock, a landmark site in Fort Collins, Colorado. I was intersted in getting the setting moon directly behind the rock formation in the Rocky Mountain foothills but i like it off center a little bit more on this one. A full moon setting behind Horsetooth Rock in the foothills of the Rocky Mountains. 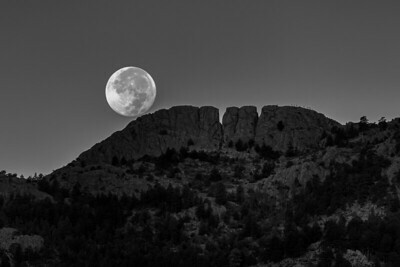 Twice a year, the full moon sets around Horsetooth Rock. Horsetooth Rock is a unique rock formation that overlooks Fort Collins, CO. 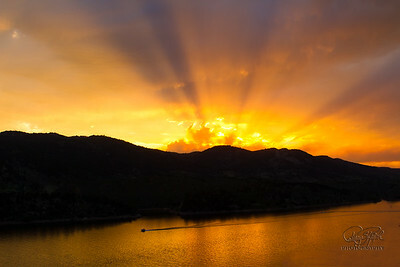 This was taken just west of Fort Collins looking east at the colorful sunset. This is the start of the Rocky Mountians foothills and just behind me is Horsetooth Reservoir. The ridgeline is going down and i liked the trees. The colorado sunrises are beautiful. Out Standing in a Sunrise. 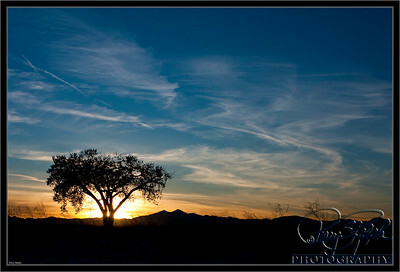 This was taken at one of my favorte spots. 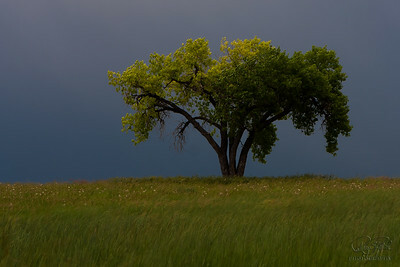 The Lone Tree in Fossil Creek Reservior at sunrise. The winter sunrises in Colorado are very colorful. 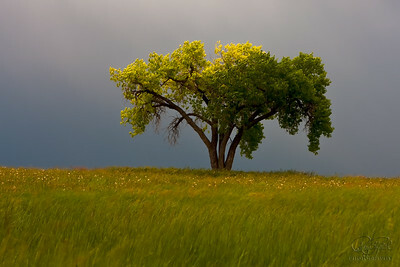 Just after a rain storm, the lone tree is starting to get a little sunlight. A shot of the full moon and the Lone Tree in Fossil Creek Reservoir.